Will the new stamp duty affect you? The property industry is set to change irrevocably in light of Chancellor George Osborne’s upcoming changes to Stamp Duty Land Tax. From 1st April 2016, those who are searching for a buy-to-let property or a second home will be required to pay an additional 3% stamp duty on top of the existing rates. Naturally, introducing these new fees will have a substantial impact on investors. 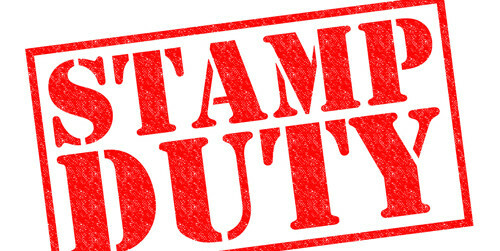 Read on to learn more about the stamp duty changes and how they are likely to affect those within the buy-to-let investment market. As of the start of the next fiscal year, investors who purchase a property that they do not intend to live in on a full-time basis will need to pay the new rates of stamp duty. The charges only apply to properties that are worth more than £40,000. The charge will depend on the bracket that the property falls into – take a look at the tiered system breakdown below to discover how much more you need to pay in percentage terms based on the value of your investment. There has been much speculation as to why Osborne has introduced the new charges. Many believe that the move is indicative of the government’s renewed support of owner-occupiers, and is a barely-disguised way of discouraging buy-to-let investors from dominating the UK market. It may also be designed to slow down the purchase of properties in areas such as London, where housing supply is substantially lower than demand. It goes without saying that higher charges will ultimately lead to lower yields for buy-to-let investors. Those with investment interests in the capital and throughout the rest of the South East, where property is significantly more expensive than elsewhere in the country, will be the most affected. However, those who are branching out into many of the UK’s other up-and-coming property hotspots, including cities such as Leeds, Liverpool and Manchester, may still generate strong returns despite escalating fees. Developments in these regions are typically lower in price, so will fall into the lower tax bands. The new higher stamp duty charges are certainly forcing investors to re-evaluate their portfolios. However, after looking past the immediate reactions, and getting to grips with the adjustments that will need to be made to current investment strategies, many property investment consultants are predicting that investors may actually be able to benefit from these charges in the long term. Buyers may need to be a little more discerning when it comes to researching the location of their next investment, and may need to think carefully about the long-term rental demand in their chosen region, but should rest assured that there are still a plethora of high yielding buy-to-let properties to be found throughout the UK. Take a look at our latest residential investment opportunities for plenty of examples of properties that can, and will, generate above average earning potential.